No one wants to grow old, but it’s a fact of life. 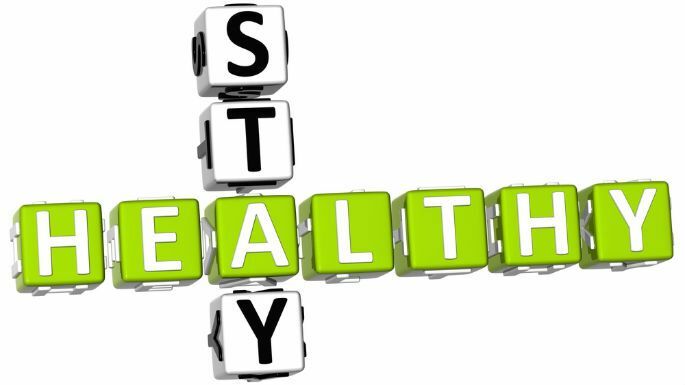 Below are some tips that everyone can use to stay as healthy as possible throughout their life. At age 40, men should get a prostate exam and women between the ages of 40 and 50 should have regular mammograms. By the age of 50 – or when you’re 10 years younger than the age at which your first-degree relative had colon cancer – be sure to undergo a screening colonoscopy. At age 50, consider having a dementia screening and get a chest CT scan if you are a smoker. You also should consider an abdominal aorta ultrasound if you smoke or have a family member who had an abdominal aortic aneurysm. Be sure to undergo annual lab work to check electrolytes, glucose (sugar), liver function tests, complete blood count, hemoglobin A1c (for diabetes) and TSH (thyroid) urine analysis, as well as cholesterol levels. Also, everyone, particularly if planning an exercise regimen or starting athletics, should get a resting EKG. If you have a family history of premature cardiovascular disease, you probably should add a stress test and a coronary calcium score. Get a flu shot every year and, if over the age of 65, get immunized against shingles…and get the pneumovax vaccination. Sexually active women should have a yearly Pap smear. And, twice each year, visit your dermatologist for a skin cancer screening. Stay away from processed foods, simple sugars and keep simple carbs to a minimum. That means saying “No” to cookies, cake, candy, juices, and alcohol as much as possible. Avoid trans-fats, such as margarine, vegetable shortening, or anything with hydrogenated or partially hydrogenated oils, and drink plenty of water. How much water? Check the color of your urine. If it’s clear you’re drinking enough; if yellow…drink more. Get enough Vitamin D3, which can help lower your risk for cardiovascular disease and may decrease the risk of certain cancers. Regularly include omega 3 fatty acids in your diet. Fish are a great source for these acids that help brain health, metabolism, and keep your skin looking young while giving your hair a natural shine. Finally, staying active can help improve balance, mood, and cognition, while decreasing your risk of osteoporosis and muscle loss. Stress also can be harmful, leading to premature aging. I advocate stress-reduction techniques like meditation, yoga, tai chi, exercise…and, yes, sleep! Sleep is your body’s time to repair itself and clear the deck emotionally, which is why you need 7-8 hours every night.